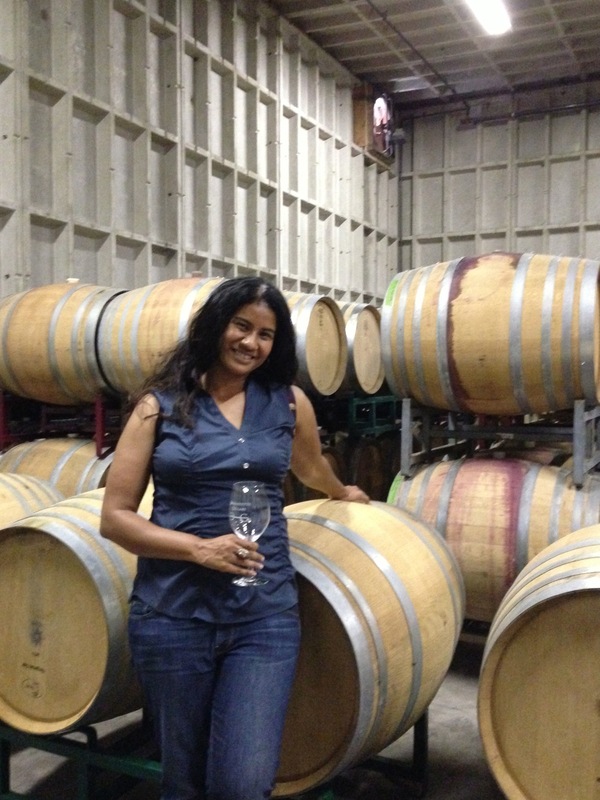 One of the reasons why I love living in California is the easy access to high quality, affordable wines. 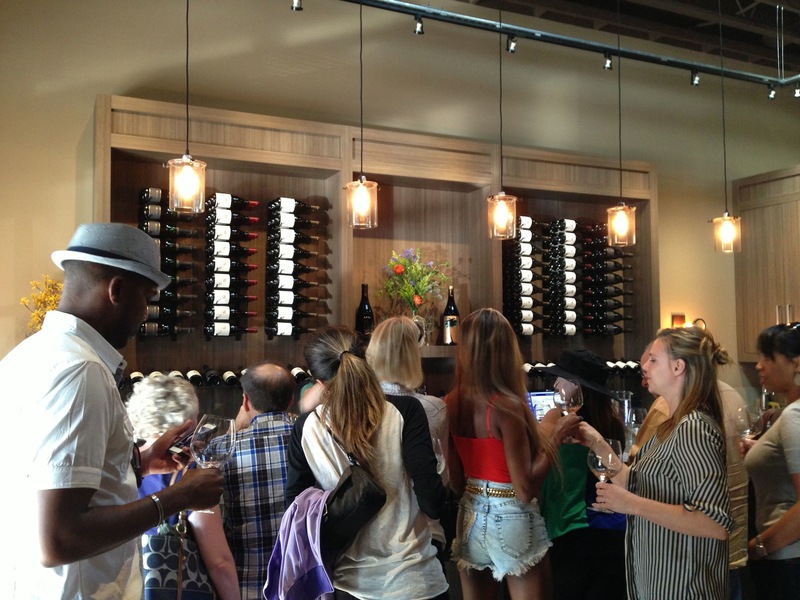 Sure, there are a variety of great wine stores everywhere, but being able to tour a winery that produces incredible wine and meet winemakers that have a strong passion for what they do— that is quite an experience! 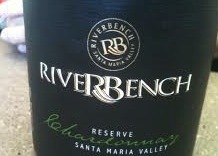 Ever since I saw the movie Sideways, I have been eager to visit the burgeoning wineries dotting Santa Barbara County. Ian Blackburn’s wine education company Learn About Wine here in Los Angeles had an upcoming tour; I quickly made a reservation. The scenery took my breath away. 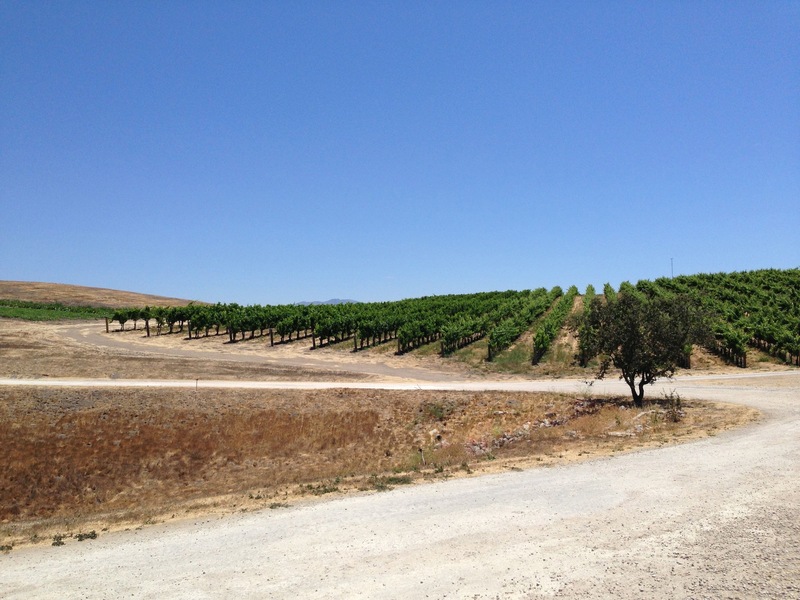 Sun-drenched, rust-golden rocky formations swam in a sea of beautifully pruned vines. As we climbed higher into the mountains, the straight and narrow road began twisting like the roots of a baobab tree. It was harder to take pictures up here! I soon gave up trying to focus my lens and just let my camera go click click click… We finally arrived at our first destination, Buttonwood Farm and Winery in Solvang. This impressive locale is not just known for its vineyard; it is also known for the peach orchards, vegetable, and herb gardens. Buttonwood has been dubbed “The Georgia of California” due to its super-ripe, tasty peaches. Peach preserves, olive oil, and freshly-dried herbs are all made and sold on the farm. Winemaker Karen Steinwachs provided us each with a glass of their prized Sauvignon Blanc and led us to the harvest room and cellar. 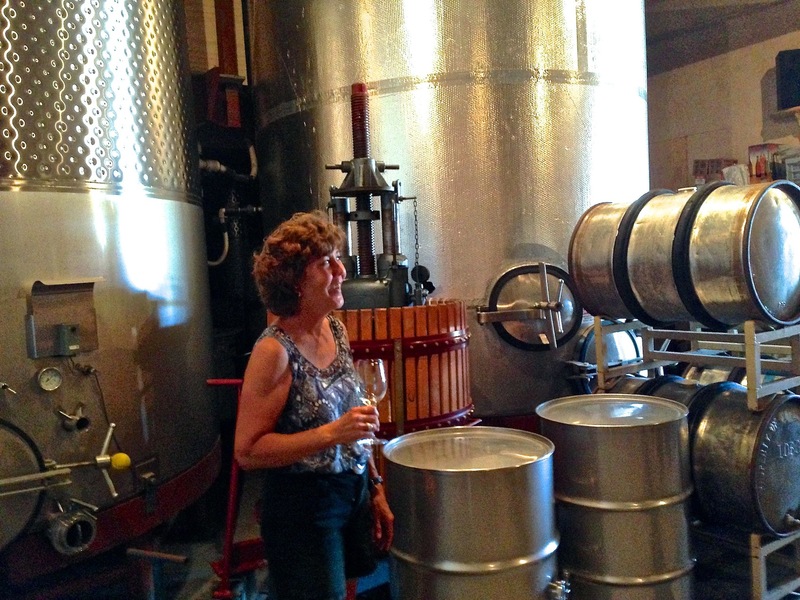 She took us through a brief history of the vineyard and explained a little about their winemaking process. Karen is a wonder herself, having ditched the comfort of the corporate world 12 years ago to tackle a back-breaking harvest job. She’s never looked back since. Next we were treated to a delicious farm-to-table lunch in a shaded alcove ringed with statuesque trees. 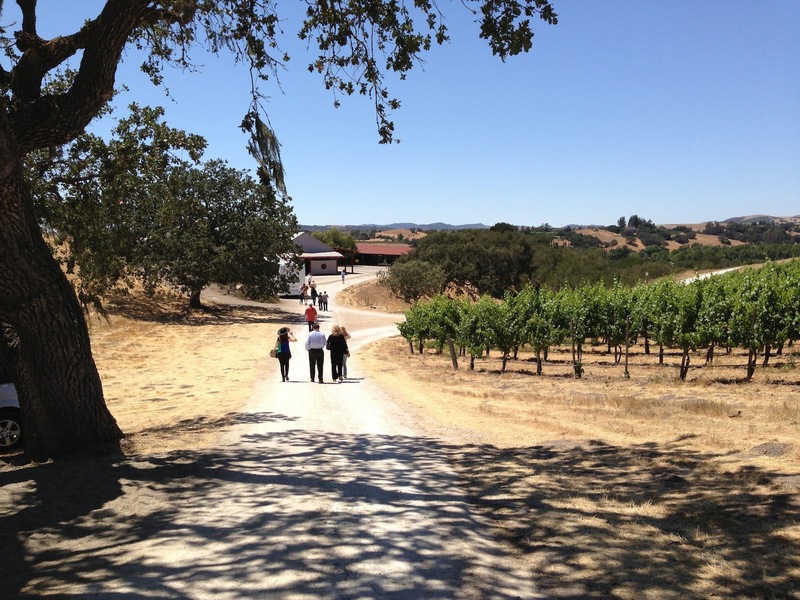 We savored several Rhone varietals from the 39 acre vineyard above, such as Syrah, Grenache, and Viognier. 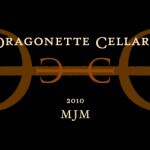 My favorite was a glass of luscious slightly-sweet 100% Semillon. Ian seemed pretty excited about our next stop— Dragonette Cellars in Los Olivos. After meeting brothers John and Steve Dragonette and their partner Brandon, I could see why. They were super funny and engaging dudes, the kind of guys you wouldn’t mind having a steak and a beer with in a shack up in the mountains somewhere. They’re the cool camp counselors you wish you had as a child, making you believe that the mundane rock they hold in their hand has the power to impact your life in a tremendous way. 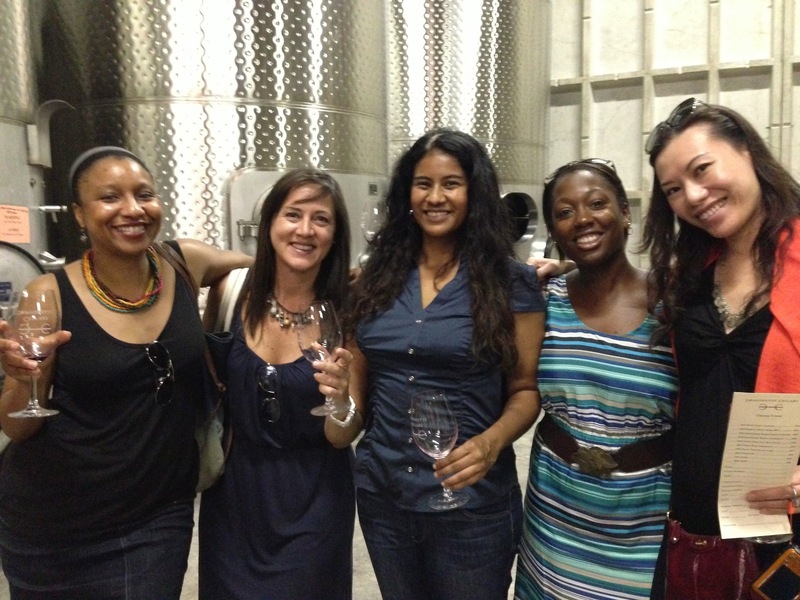 Our group tried around 10 wines in the cellar, each glass of Pinot or Syrah astonishingly better than the last. I would have been happy to bring home any bottle they offered. 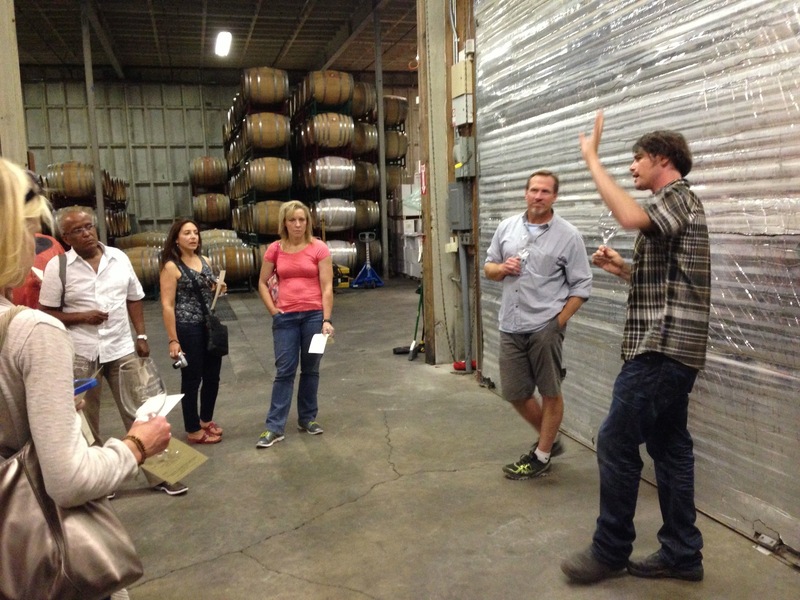 This entry was tagged buttonwood farm and winery, dragonette cellars, Ian Blackburn, learn about wine, los olivos, Santa Barbara County, santa barbara wines, solvang wineries, Tanya Harry, Wine, wine tasting, wine tours. Bookmark the permalink. 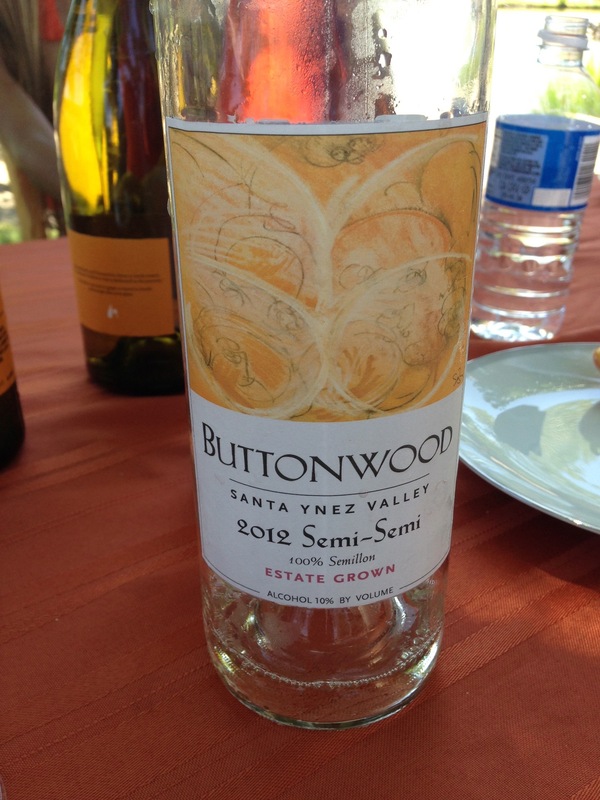 My parents visited the Buttonwood in Solvang last year, and loved it. They really liked the Solvang city too, with it`s “taste” of Denmark with lots of bakeries and restaurants serving Scandinavian food. We do this trip again in Feb 2015 – http://www.VIPwineTravel.com for details 🙂 Thanks for the nice write up, we just became aware of it!